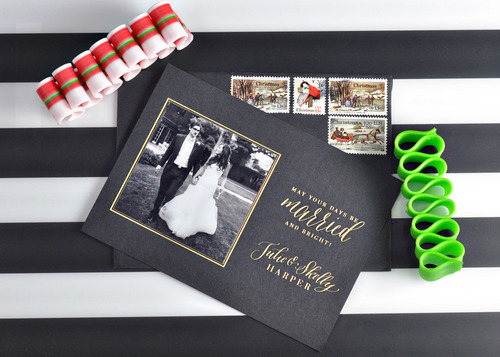 Use Your Wedding Photos on Custom Holiday Cards! 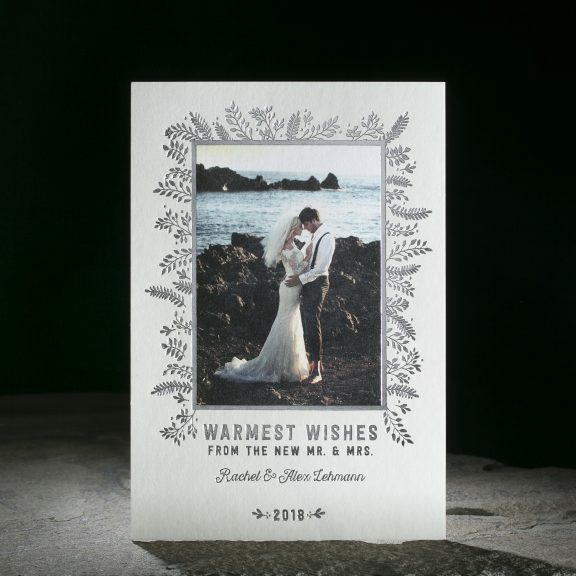 Recently married? 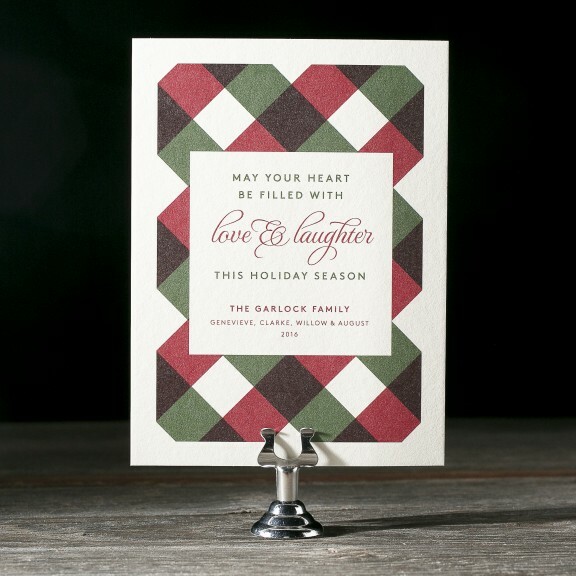 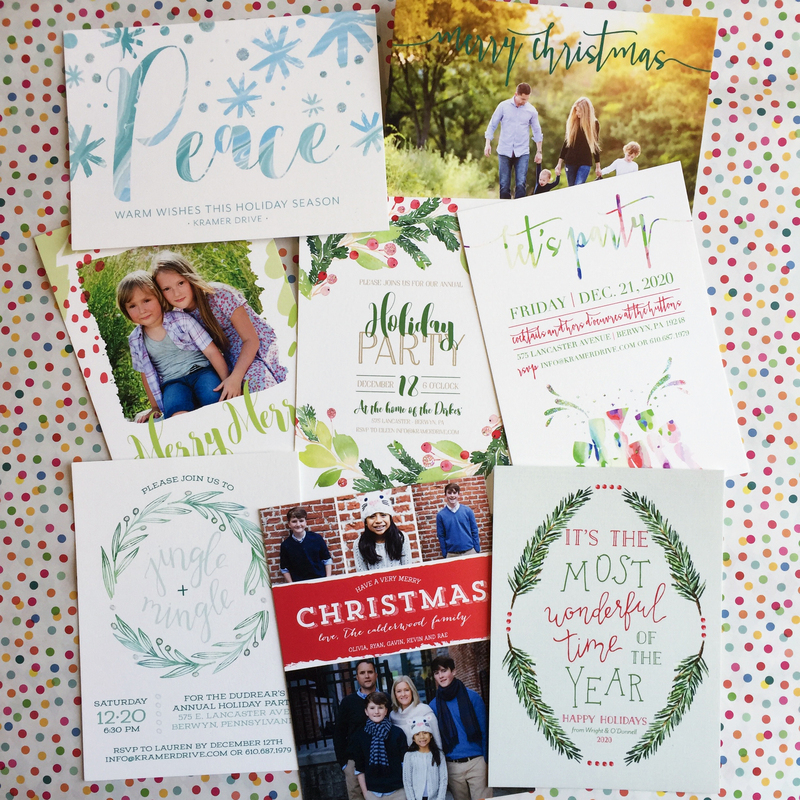 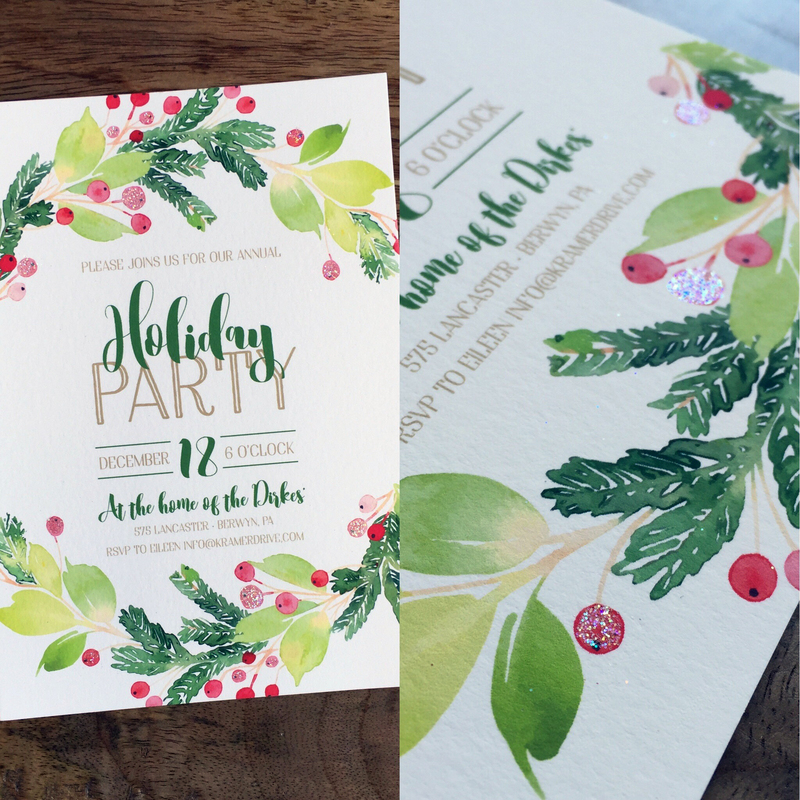 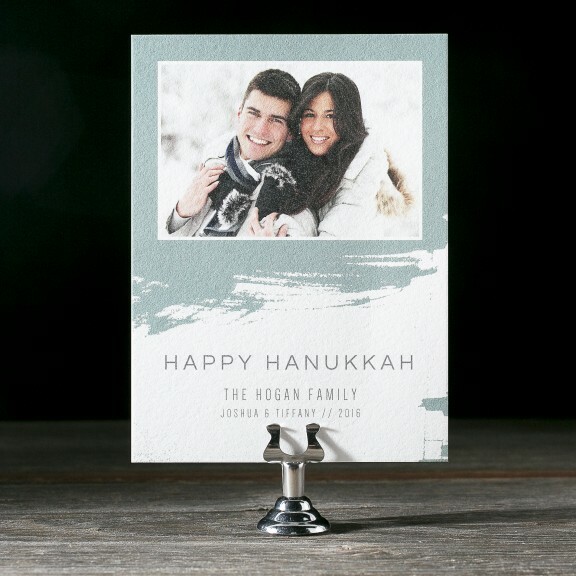 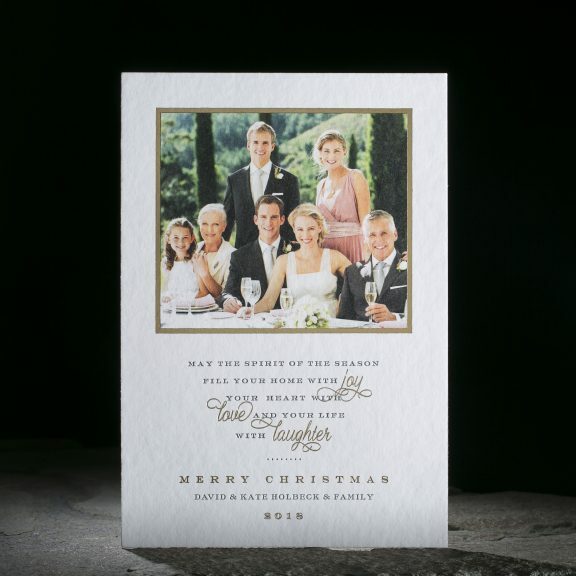 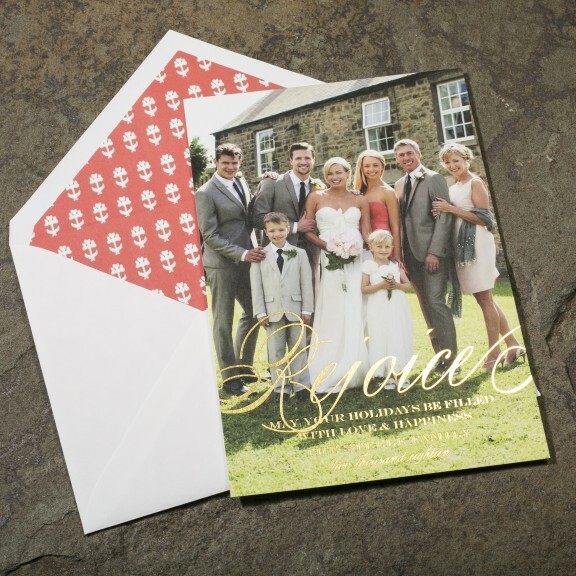 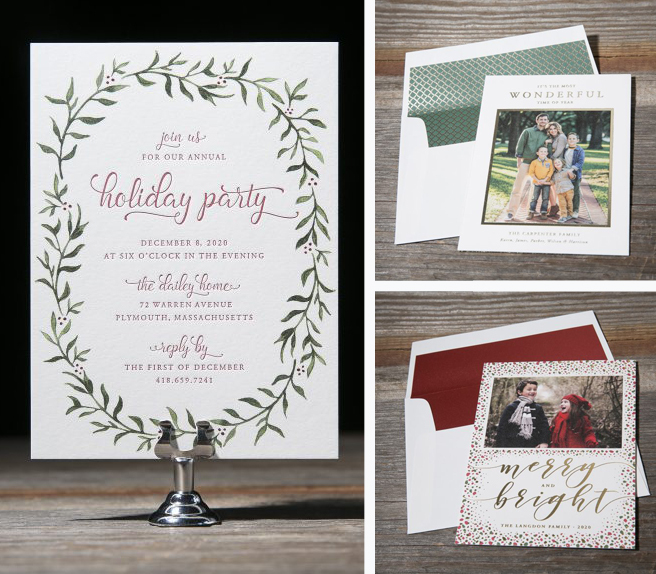 Holiday cards are a great way to show off your beautiful wedding photos from this year! 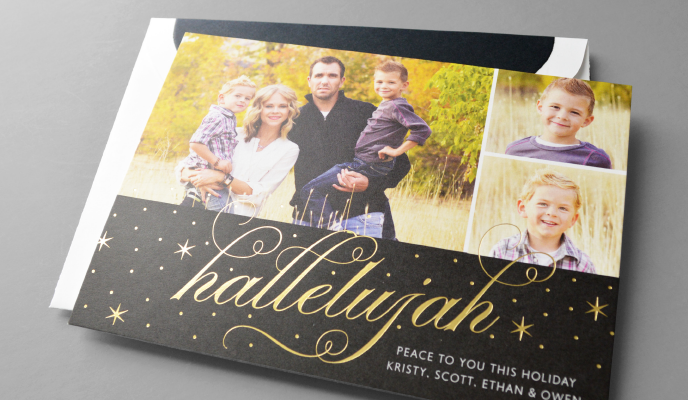 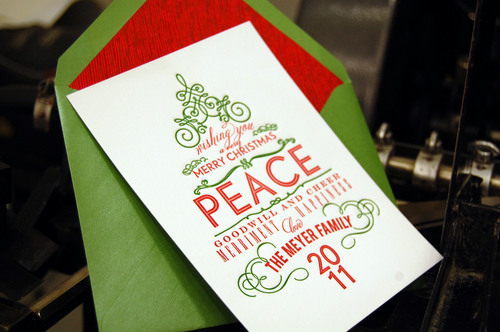 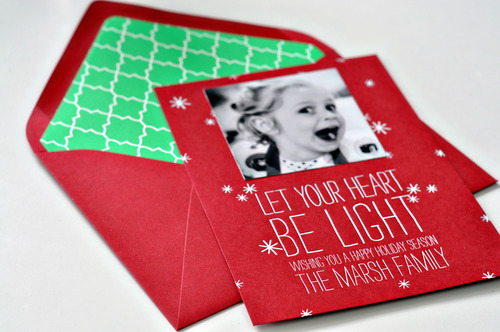 Send your family and friends a fun and festive holiday or new year card. 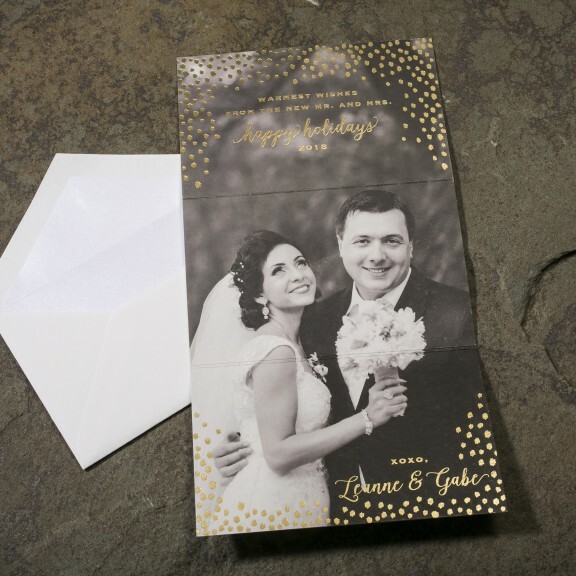 They’ll love receiving a memory of your special day. 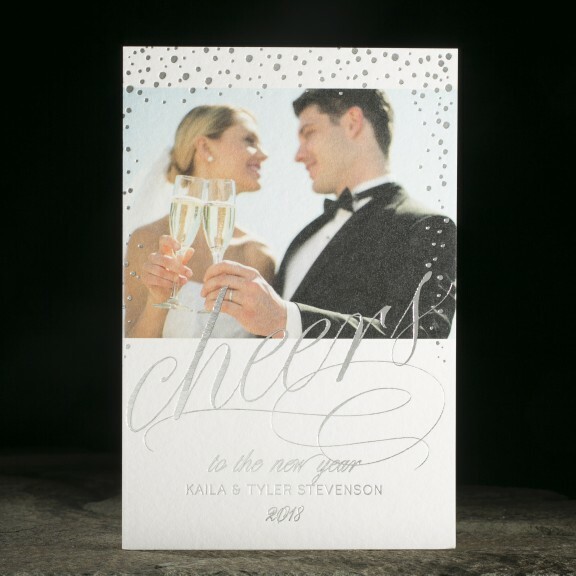 From traditional designs to modern designs and everything else in between, there is a style to fit every couple. 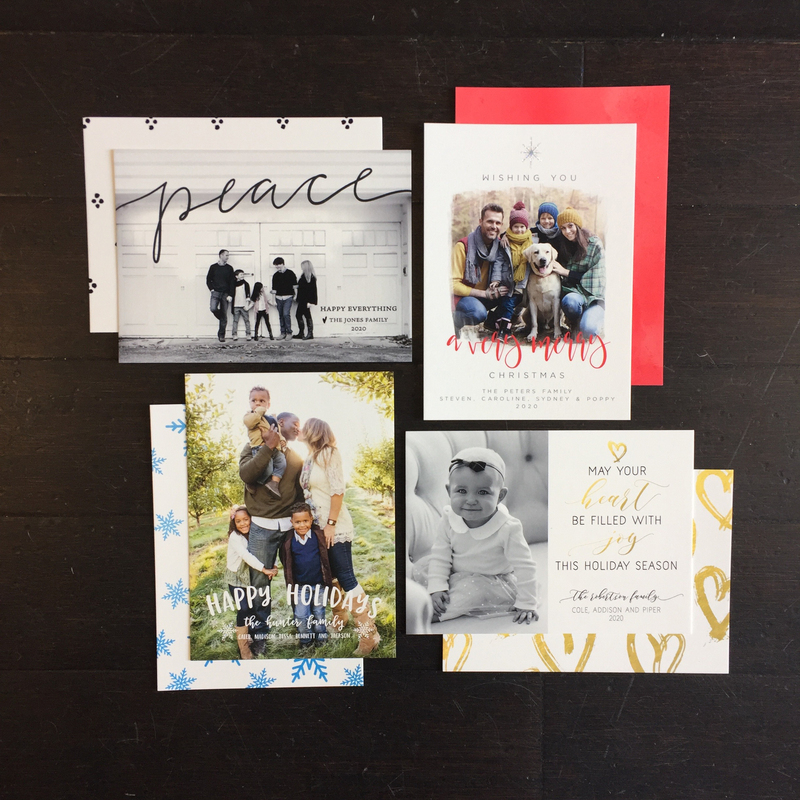 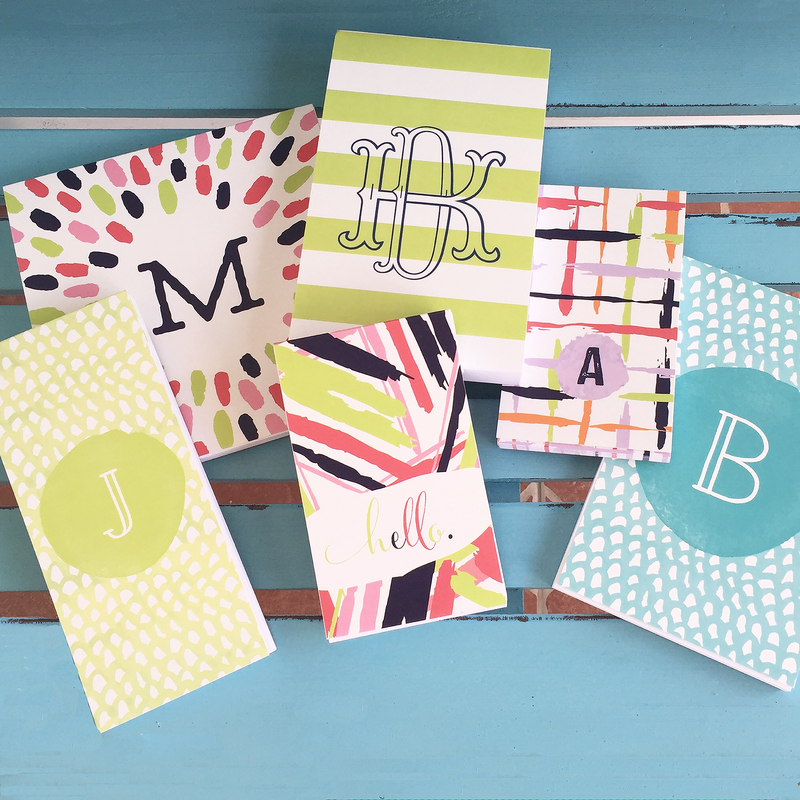 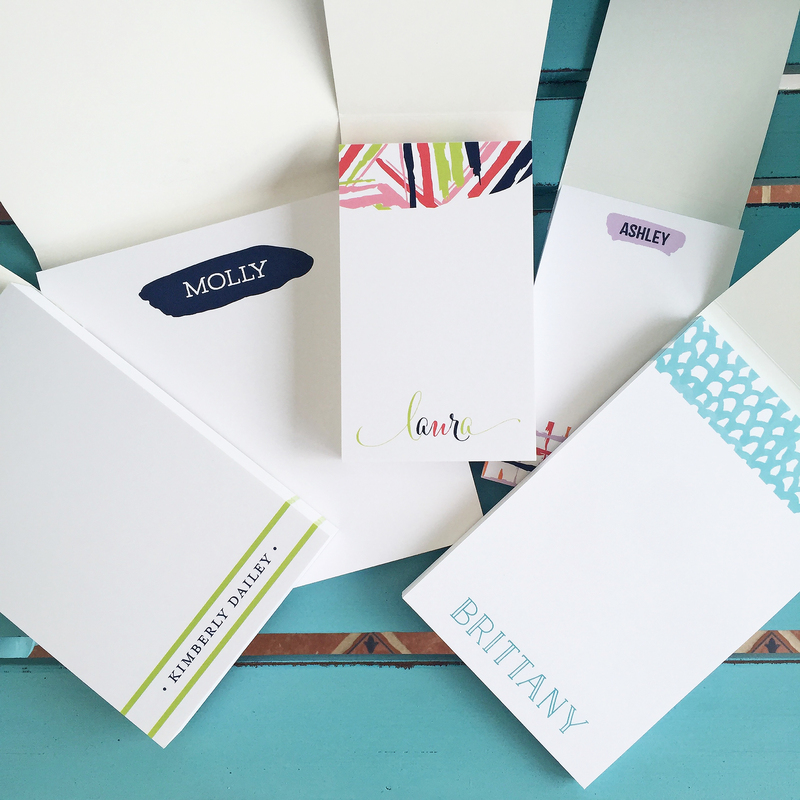 Whether you like foil and letterpress cards or digital photo cards, we’ll help you find something that fits both your personality and budget. 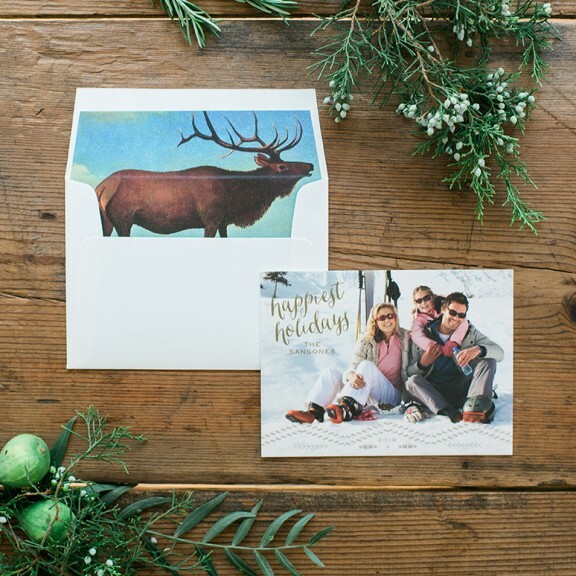 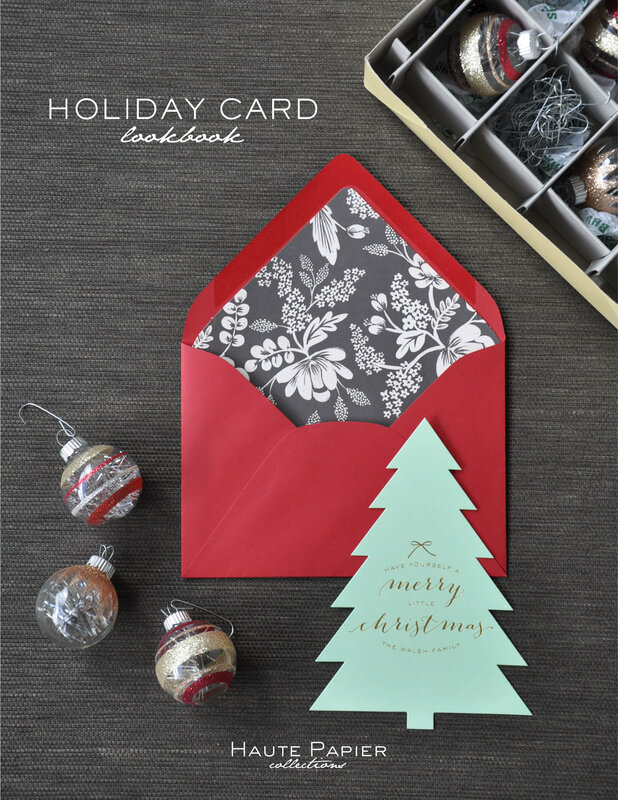 Hurry in to take advantage of extra savings with current holiday card promotions. 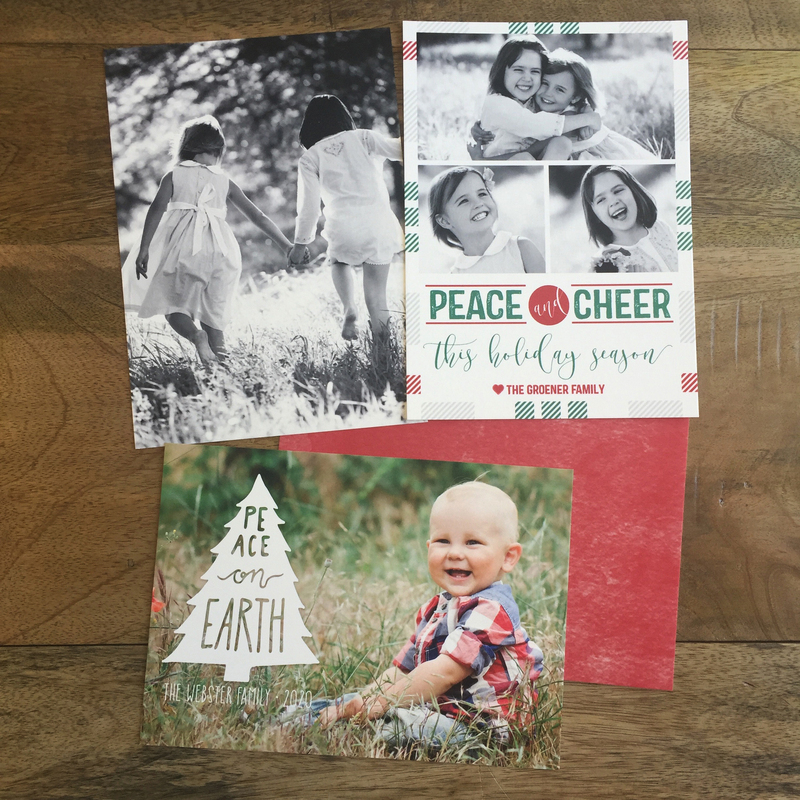 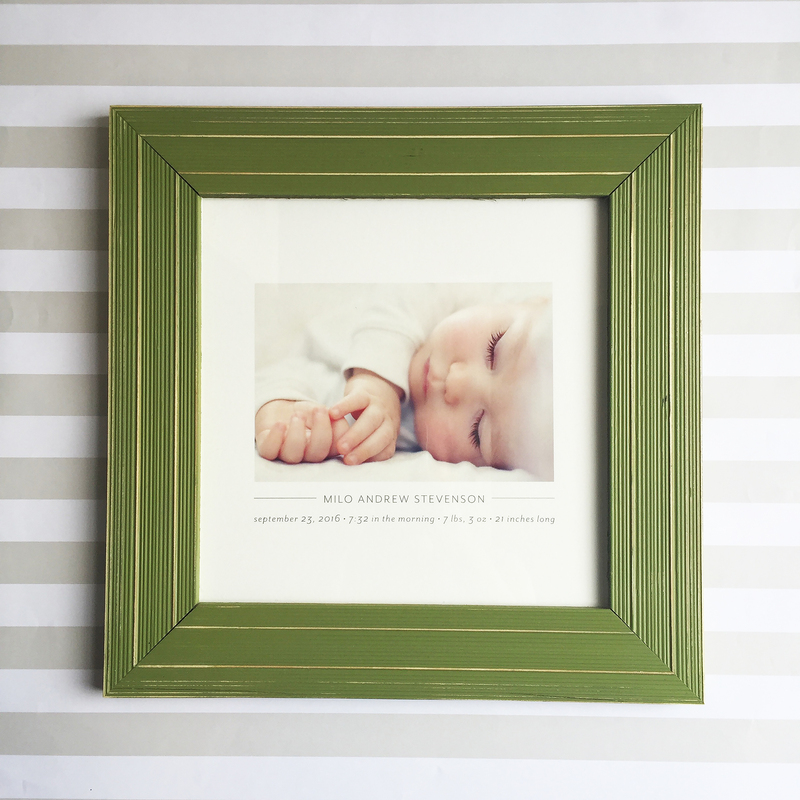 Dabney Lee photo cards are 15% off during the month of November. 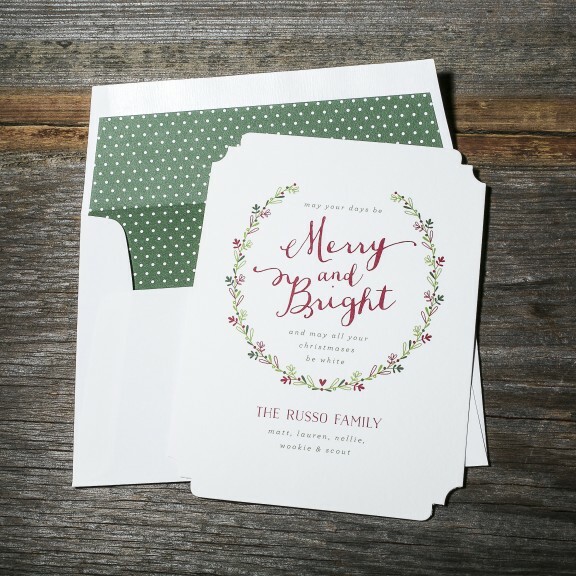 Bella Figura and Smock are offering free envelope addressing and complimentary rush services on orders placed by December 12th. 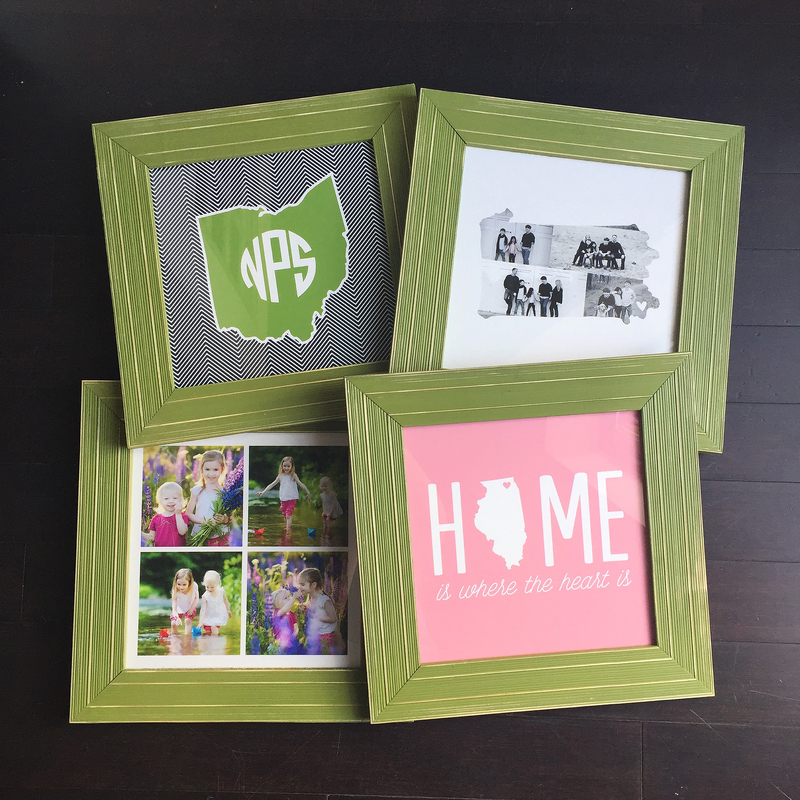 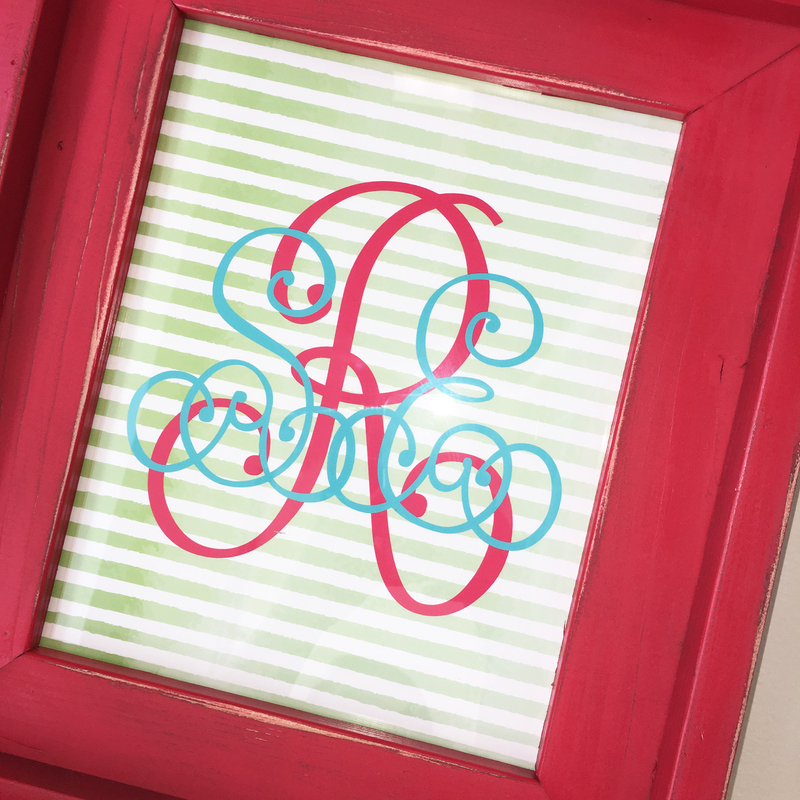 To order and to see more designs, schedule an appointment to meet with one of our design specialists.